Make today a hot one, with the delivery of hot pink roses in the Pink Surprise Bouquet. 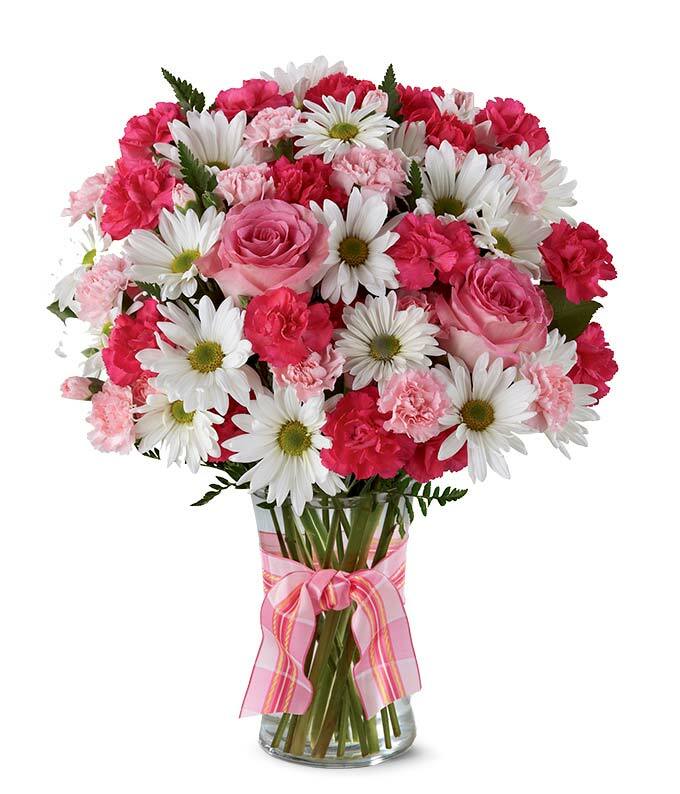 Hand arranged with Hot Pink Spray Roses, White Daisies and Pink Mini Carnations this bouquet is perfect for a friend or a significant other. While the roses add a touch of love, the daisies add a touch of friendship. The three flower stems are placed in a clear glass vase that is decorated by a florist partner with a ribbon. Please note that in the regular size of the bouquet roses will not be included.